Leatt's new lineup is now available. Check out the latest and greatest jerseys, pants, shorts, and gloves from the South African brand. 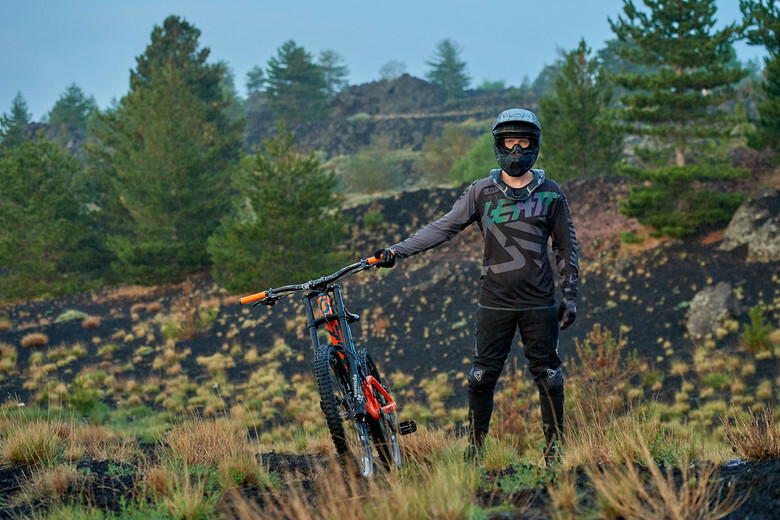 CAPE TOWN, South Africa - The inventors of the Leatt-Brace® and creators of technologically advanced protective gear, now offer head-to-knee protection and a full apparel range of products for all bicycle disciplines. Their new 2019 bike spring/summer DBX apparel collection includes a long-sleeved 4.0 Ultraweld jersey, long and short 4.0 pants, three-quarter-sleeved 3.0 jersey with shorts, T-sleeved 2.0 jersey, ultra-lightweight 1.0 jersey with shorts, and a 1.0 Zip jersey. The glove line includes four designs, namely the 4.0 and 3.0 Lite, 2.0 X-Flow, 1.0 and 1.0 GripR. What’s Hot About the 4.0 Jersey and Pants Set? The 4.0 Ultraweld jersey is the only long-sleeved design in the spring/summer gear line. Race tight fit made with a MoistureCool and wicking stretch mesh with air channels. Ultra tough material for those who need it! The black colorway features an awesome holographic print. Why Rock the DBX 4.0 Pants? The full material mix has a dirt, water, and stain resistant fabric coating. What’s Hot About the DBX 3.0/2.0 Shorts? The 3.0 shorts are stretchy, comfortable and ideal for everyday riding. Pre-curved fit works well with knee protectors and without. It pairs well with lighter bicycle jerseys such as the DBX 3.0 or 2.0. The DBX 2.0 Jersey: The DBX 2.0 looks like a casual Tee but is a jersey – a super comfortable one! It is lightweight and breathable, and the back panel made of a MoistureCool wicking mesh provides maximum ventilation. The 1.0 jersey is the lightest in the range and is made of an ultra-light, quick-drying stretch mesh with a ventilated back to keep you cool during those hot rides. Then there is the 1.0 Zip jersey which is made of the same material, but with a zip in the front as well as rear storage pockets with an anti-sag suspender system at the back. Both Jerseys are slimmer, offering a more sportive fit compared to all other Leatt jerseys, and is aimed at XC, trail and all-mountain riders. Both jerseys pair well with the 1.0 shorts, which are made of a very lightweight stretch soft shell with a dirt, water, and stain resistant fabric coating and laser-cut ventilation to keep you cool. It also has a new detachable CoolMax and anti-odor chamois-liner and a seamless seat panel that moves freely on the bike. The 1.0 DBX shorts are the slimmest and shortest (reaches the top of the kneecap), and work best without kneepads, or with very slim ones. The entire jersey collection comprises of 19 styles and prices start at $39.99 / €39.99 / £35.99. Pants/shorts in ten designs starting at $69.99 / €69.99 / £62.99. Gloves are available in 21 colorways, starting at $25.99 / €26.99 / £23.99. 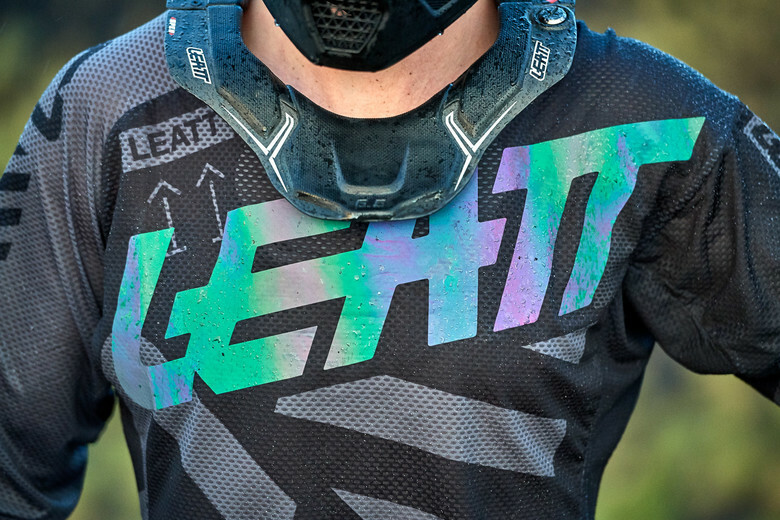 Leatt® develops personal protective equipment and ancillary products for all forms of sports, especially action sports. The Leatt-Brace® is an award-winning neck brace system considered the gold standard for neck protection for anyone wearing a crash helmet as a form of protection. It was designed for participants in action sports or riding motorcycles, bicycles, all-terrain vehicles, snowmobiles, and other vehicles. 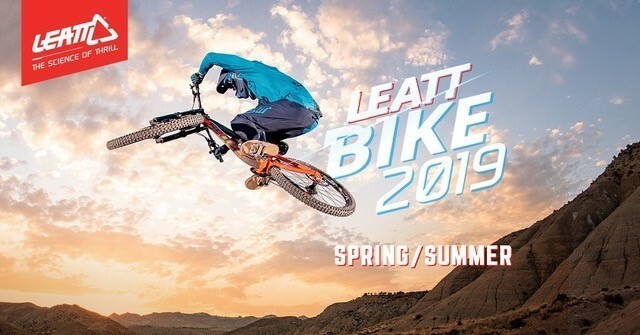 For more information, visit www.leatt.com. Follow Leatt® on Facebook, Instagram, YouTube, and Twitter. Omg. When I read you comment I laughed out loud and my son keeps asking why it’s funny. Legend comment!